Imagine Shark tank….only in reverse! You are sitting at the head of the table with five of people who are willing to invest in you. People who know, like and trust you. They bring their best game to the table to help you succeed. Think about it for a moment. The number one thing that people value most in the world is not the money…… it is to be significant. Have you ever wanted something so much that you were willing to pull out all stops to achieve it? Welcome to small business ownership. If you are a realtor, this means you too! Let me share with you what happened when Scrappy (that’s me), decided it was time to pull out all stops and get down to business and a life that matters. First all “your influence is determined by how abundantly you place other people’s interests first.” Your tribe of five are the five characteristics of people that will help you keep motivated to move forward. You also play a role in their lives. The Truth Teller –Mike sets me on course when I want to go off screaming. The Grand Plan Person – Bonnie helps me build strategy and see the big picture. The Focuser – Sam reminds me to trust the process and take one step at a time. The Connector – Gus reminds me that I am not to do it on my own that by helping others get what they need that I can get what I need. The Encourager – Charlie – picks me up, dusts me off and gets me back on my journey. Refusing to let me sink back into my safe zone of inaction. Entrepreneurs and Solopreneurs are faced with the challenge of carrying the load of leading their business to success. They are so busy “working in their business that they is no energy left to “work on the business.” Working on their business really translates to developing themselves. While it is true that most businesses start around your kitchen table or in your garage, to survive and thrive you must enlist the help of others that can reflect on what you cannot see. What if you could hand select a cohort of individuals who would walk the journey with you. Incorporating the mastermind process you can develop a stronger vision to grow yourself and your business. Don’t go it alone in business – How can you activate your unleveraged assets – develop a tribe of five to help you strategize, motivate, activate, focus, connect and succeed? Action was a nugget of truth that struck home to me. One can want something all day long, but it is the focused action that creates the outcome you really want. It is not merely what you do….it is who you become that creates significance. A great friend, Bob shared a book with me about ten years ago that began to change my outlook and put me on a journey to become…. It is called the Go Giver by Bob Burg and John David Mann. It is a great little story about a powerful business idea. It is filled with characters that might resonate in your life. They did in mine. I am the connector and the encourager. We are all designed with gifts that used authentically can plant significant seeds in others’ lives. Succeeding in business requires a never give up dedication to a dream. But that dedication to a dream must come with intention to build a strategy to succeed. Are you intentional in your dream to be significant in the world? What does that intentionality look like? Back to the Tribe of Five, after reading the Go Giver I went on a journey to develop and discover who I was (what I could offer them) and what types of people I needed in my life to help me be successful. Bring your authentic gifts to the table. 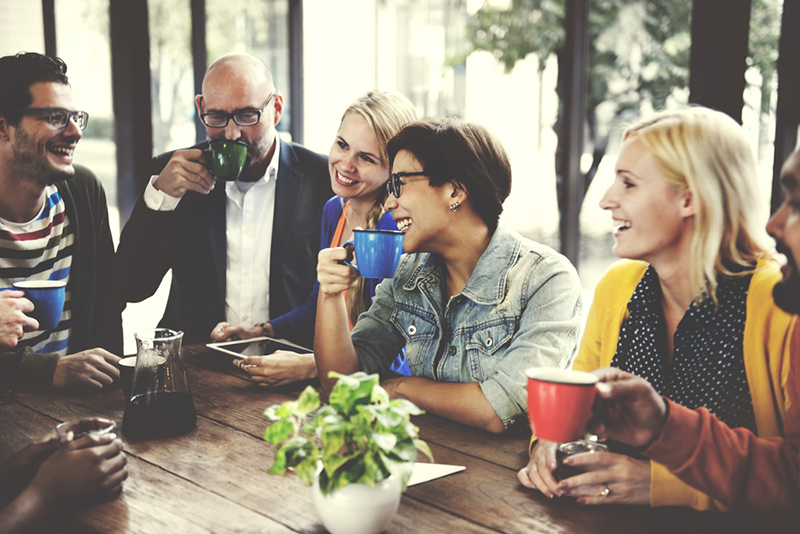 Learn ways to seek out and connect with likeminded individuals. Develop tools to craft a vision to recruit people to your tribe. Develop tools to transfer your vision to your tribe. Develop an action plan to bring your cohort to life. The most successful business owners and professionals don’t leave their success to chance. They get determined and focused to grow. They connect with others! When we become authentically who we are is when we can become significant in life. Thanks to words of wisdom from others, wrapped in a whole lot of grace……Today, I thrive! See website to learn more. Begin today to live authentic to your gifts…….reach out to help others…..honor theirs. Develop and find your tribe of five…….and thrive!